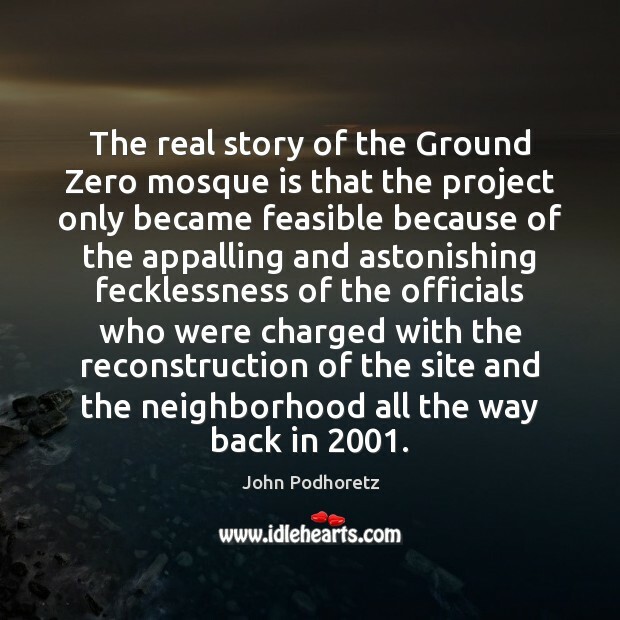 Quotations about Appalling. Quotes to stimulate mind and drive action! Use the words and quote images to feed your brain inspiring things daily! I have this horrific thing where I'm really bad with names and faces. I have an appalling memory. 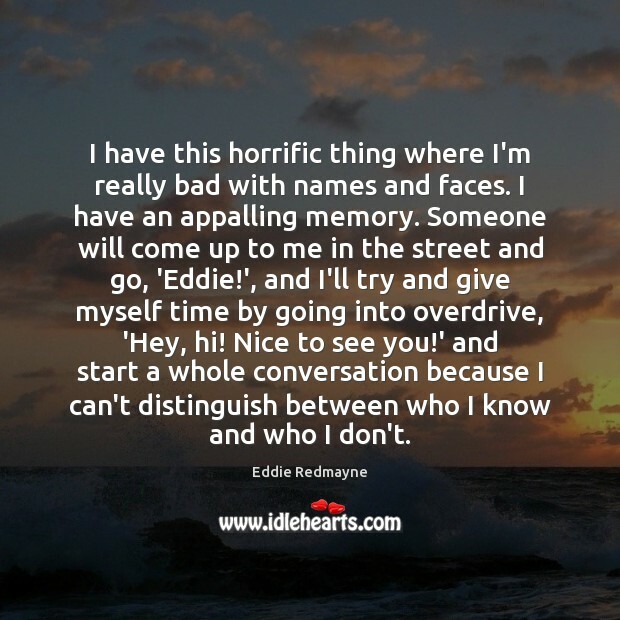 Someone will come up to me in the street and go, 'Eddie! ', and I'll try and give myself time by going into overdrive, 'Hey, hi! Nice to see you!' 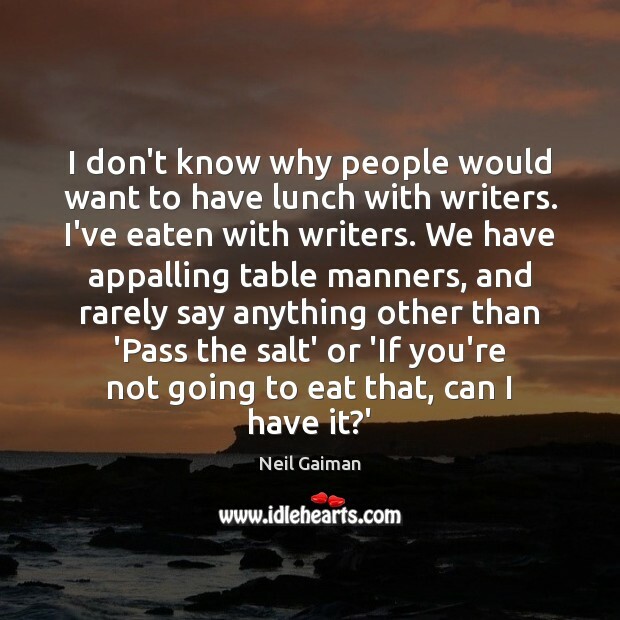 and start a whole conversation because I can't distinguish between who I know and who I don't. 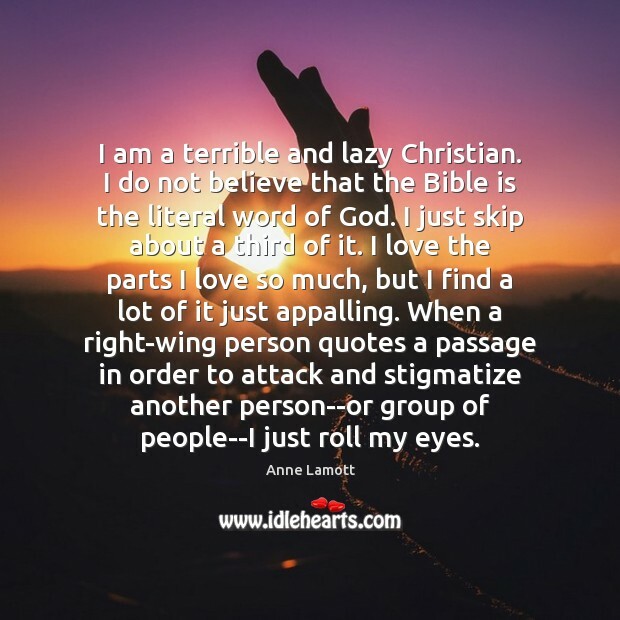 I am a terrible and lazy Christian. I do not believe that the Bible is the literal word of God. I just skip about a third of it. I love the parts I love so much, but I find a lot of it just appalling. When a right-wing person quotes a passage in order to attack and stigmatize another person--or group of people--I just roll my eyes. Appalling numbers of youth have been led into a cynical ultra-sophisticated attitude which regards drinking as a badge of social aptitude, which makes a fetish of sport and professes eroticism as a way of life. A perverted and insane pictorial art, lewd exhibitionistic dancing and jungle music form the spiritual norm of this sector of America's youth. 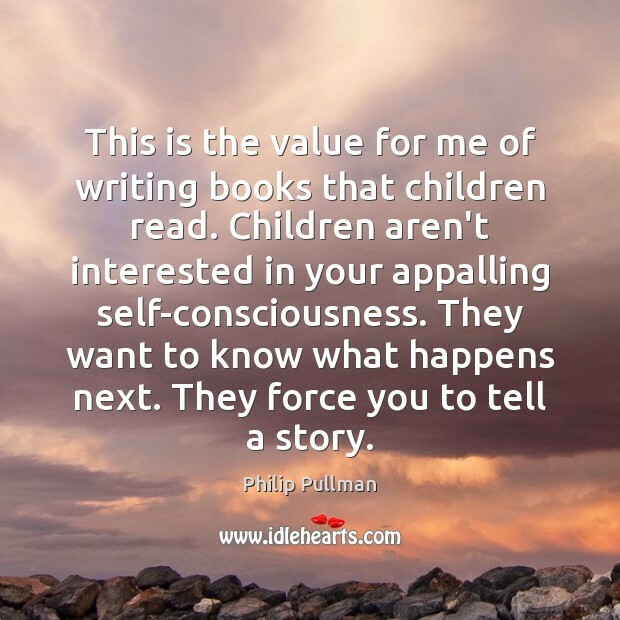 This is the value for me of writing books that children read. Children aren't interested in your appalling self-consciousness. They want to know what happens next. 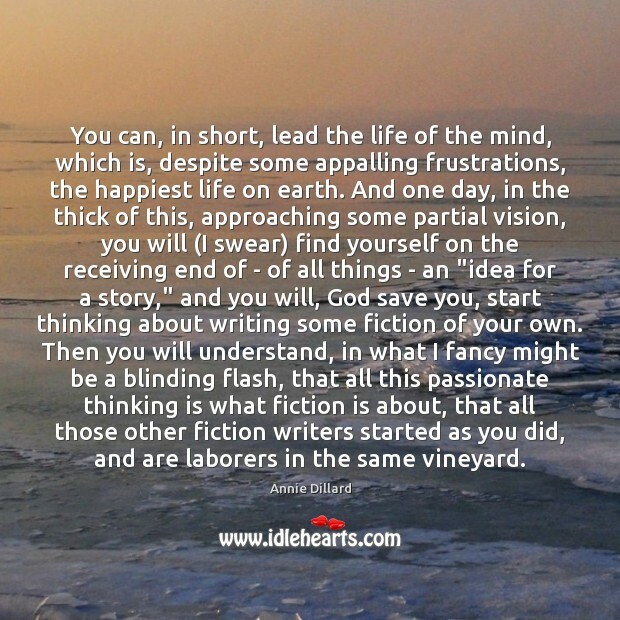 They force you to tell a story. 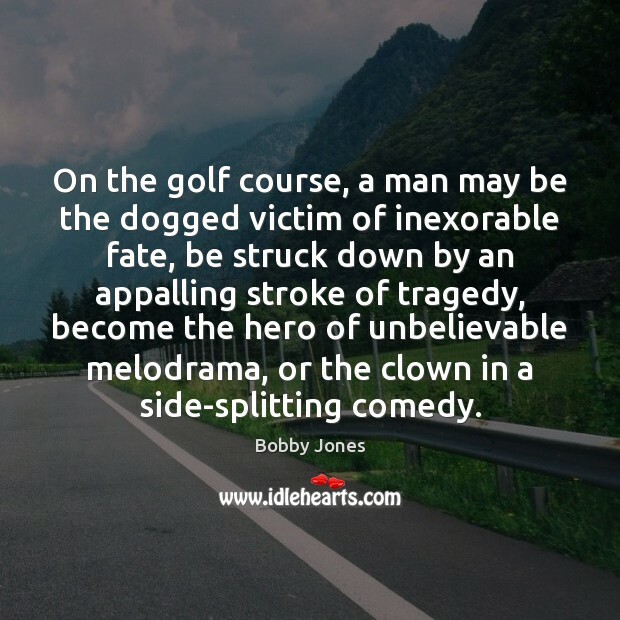 On the golf course, a man may be the dogged victim of inexorable fate, be struck down by an appalling stroke of tragedy, become the hero of unbelievable melodrama, or the clown in a side-splitting comedy. Her absence had felt like torture--almost a form of personal punishment. 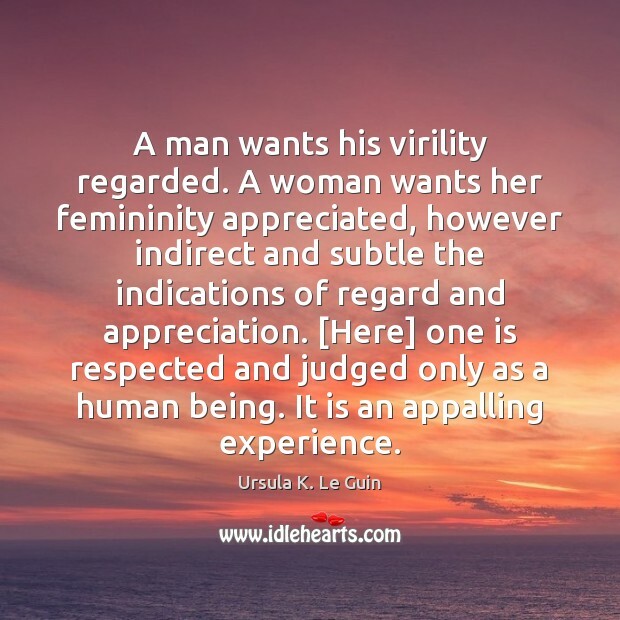 He had nobody to discuss his feelings with, and for the first time he realised with appalling clarity what a destructive hold she had over him. 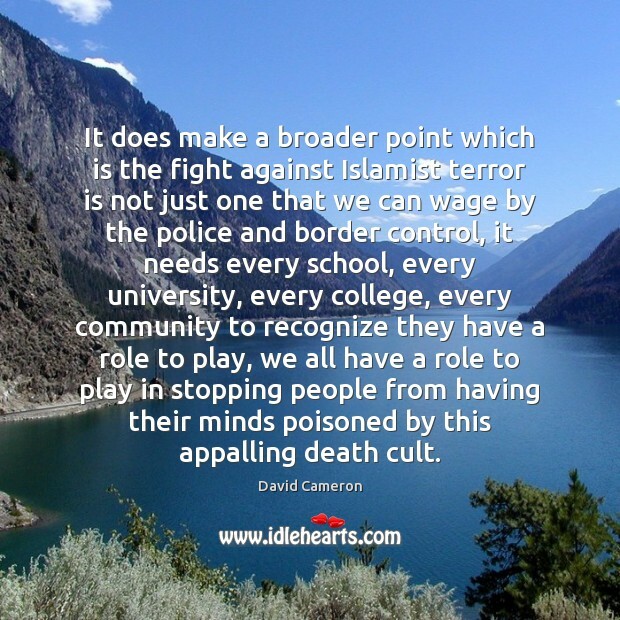 It does make a broader point which is the fight against Islamist terror is not just one that we can wage by the police and border control, it needs every school, every university, every college, every community to recognize they have a role to play, we all have a role to play in stopping people from having their minds poisoned by this appalling death cult. 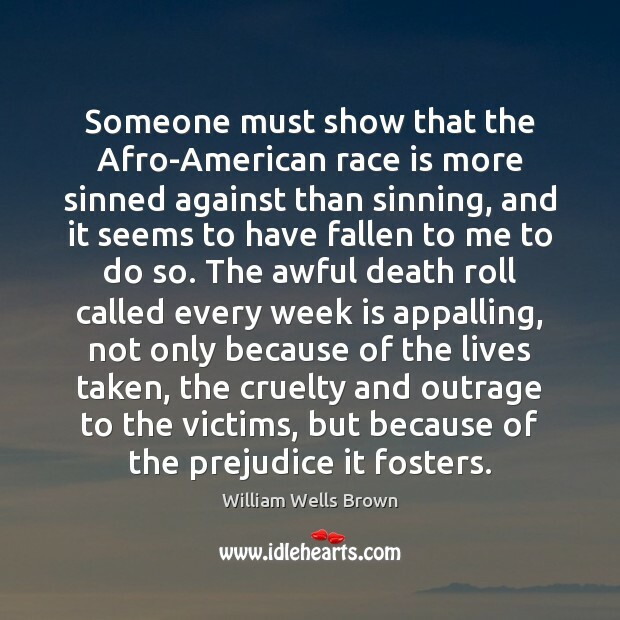 Someone must show that the Afro-American race is more sinned against than sinning, and it seems to have fallen to me to do so. 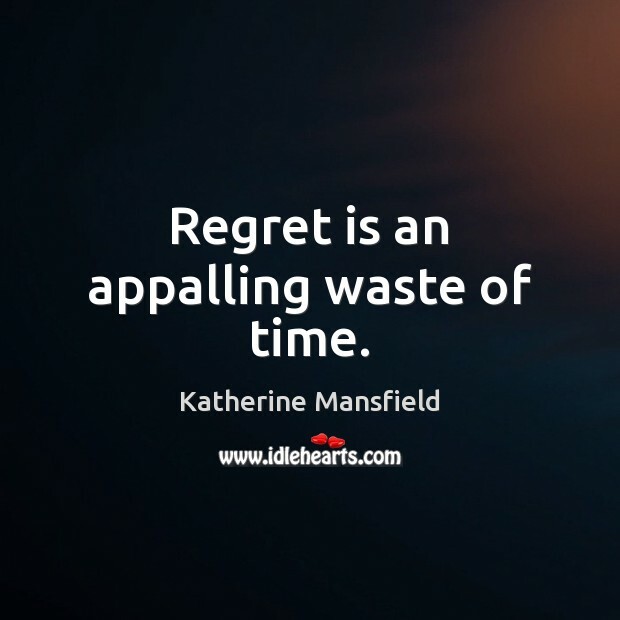 The awful death roll called every week is appalling, not only because of the lives taken, the cruelty and outrage to the victims, but because of the prejudice it fosters. As you can imagine I'm disappointed as anything that I was not selected to be the presidential running mate. 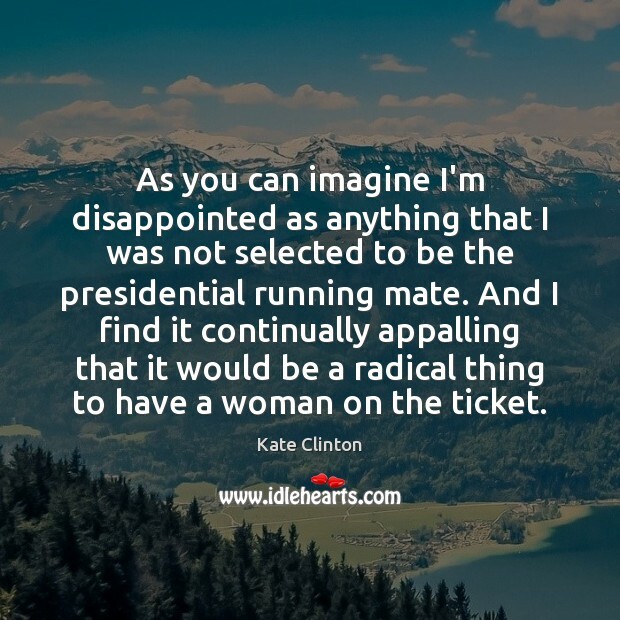 And I find it continually appalling that it would be a radical thing to have a woman on the ticket.